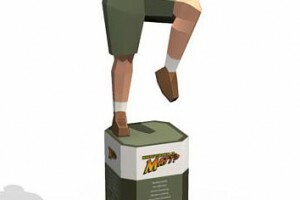 Matthew "Matt" Harding (born September 27, 1976) is an American video game developer and Internet celebrity known as Dancing Matt for his viral videos that show him dancing in front of landmarks and street scenes in various international locations. Harding has since received widespread coverage of his travel exploits in major print and broadcast media outlets. He is originally from Westport, Connecticut.He began his game industry career working for a video game specialty store called Cutting Edge Entertainment, Harding later worked as an editor for GameWeek Magazine in Wilton, Connecticut, and then as a software developer for Activision in Santa Monica, California and then Brisbane, Australia.